A TRIBUTE TO A FALLEN SOLDIER: On April 2, 2013 an Honorary street dedication was held at the 4600 block of South Keeler Avenue as the Omar E. Torres Way. U.S. Rep. Dan Lipinski (IL-3) was joined by Chicago Ald. Ed Burke (14th), neighborhood leaders and the family of Private First Class Omar E. Torres. ARMY Pfc. 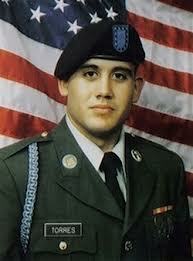 Omar E. Torres, 20, of Chicago died August 22, 2007. He was assigned to the 2nd Battalion, 5th Cavalry Regiment, 1st Brigade Combat Team, 1st Cavalry Division, Fort Hood, Texas. Pvt. Torres was killed from wounds sustained when an improvised explosive device detonated hitting his unit during combat operations while patrolling Baghdad in Operation Iraqi Freedom. REP. LIPINSKI said “I am deeply honored to participate in dedicating the street where Pvt. Torres was raised and to see how much this means to his family, friends, and former neighbors”. “TORRES TRULY was a hero who made a difference in his community and continues to make an impact to this day. I will always remember the outpouring from the community at Omar’s wake at St. Richard. Now, when people see the signs for Omar E. Torres Way, they will be reminded of him, his bravery, and his selfless service to his country. We will never forget his sacrifice and we are forever indebted to him, as well as to all of the men and women who serve in our armed forces,” concluded Lipinski. TORRES grew up on the Keeler block and played football at De La Salle High School before earning a full scholarship to Ohio State University and joining the U.S. Army Reserves. In 2007, Rep. Lipinski read a statement on the House floor honoring Torres for his accomplishments and sacrifice, noting his interest in politics and strong desire to work for positive change in his country. In addition to the street designation, the UNO charter school at 4248 W. 47th St. is named the PFC Omar E. Torres School. Children from the school attended the dedication ceremony and read poetry honoring Pvt. Torres. 30th WARD: Ald. 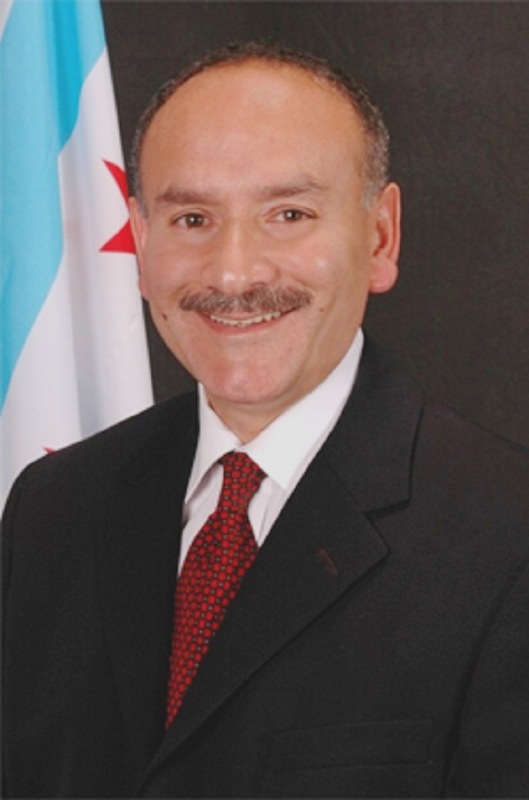 Ariel E. Reboyras was sworn in for the first term as Alderman of the 30th Ward on May 7, 2003. He is a native of New York City and at the age of twelve relocated with his parents to Chicago. While attending the University of Illinois at Chicago, Ariel majored in Education and was Co-Captain for the UIC “Flames” baseball team. He began his career as a teacher with Chicago Public Schools at Roberto Clemente High School. At Clemente, Ariel was an Assistant Coach for the sport of football and wrestling. Ending his tenure as a teacher, Ariel became a city worker. ARIEL BEGAN his career with the City of Chicago by driving a truck for the City, worked as an Equipment Dispatcher, headed up an Underground Storage Tank Remediation Program for Fleet Management, became an Equipment Coordinator for the Water Department, and assisted with design specifications for the Fleet Management Division. RECOGNIZING his dedication to public service, he was promoted by Mayor Richard M. Daley to Deputy Commissioner for the Department of General Services. LACC Breakfast Meeting held Thursday, April 18, 2013. ALDERMAN Ariel has volunteered his services to various parks and non-profit organizations, which includes little league baseball and youth football programs. He is also the co-founder of the Northwest Youth Basketball Association and the “Maraton San-Juan,” an 8K Road Race in collaboration with the Chicago Puerto Rican Parade. Ariel is a member of the Healthy Streets Campaign Drive, a member of the National Association of Latino Elected and Appointed Officials (NALEO), and serves on the Pace Citizen Advisory Board. ALD. REBOYRAS is a member of: Budget & Government Operations Committees, Rules & Ethics, Finance, Housing & Real Estate, Public Safety, Transportation, Vice-Chairman of Aviation, Vice-Chairman of License and Consumer Protection. Currently Reboyras is serving his third term as Alderman; having been an alderman since 2006. He is also the Democratic Committeeman of the 30th Ward. TROOP 306: The St. Agnes Church Boy Scout Troop 306 has ten members, starting from 11 years old up to 18 years old; and 25 Cub Scouts, 1st Grade to 5th Grade. The Boy Scouts sponsored a Pancake Breakfast fund-raiser Sunday, April 21, 2013 in St. Agnes’ Social Room in Little Village. More than 200 people attended the breakfast. TOM VLACH is Scout Master of Troop 306, Arlene Zriny is the Boy Scout Committee Member and Thomas P. Zriny is the District Boy Scout Commissioner and formerly the Scout Master of Troop 306. The Cub Scouts meet weekly, on Friday, at St. Agnes Church at 5 p.m. and the Boy Scouts meet at 7 p.m. Troop 306 has been in existence since 1938. THE SCOUTS sponsor two Pancake breakfast fund-raisers each year and a popcorn sale in the fall. Proceeds help pay for the scout’s summer camping trip. For more information on scouting call the St. Agnes Rectory at 773/522-0142. CUBA: While in Havana, Cuba this past January as a guest of the Lambda Alpha International organization, I sent both President Barack Obama and U.S. Senator Richard J. Durbin post cards from Havana, Cuba. Upon my return home I sent both letters expressing my opinion on America’s 51 year economic embargo against Cuba. The embargo just does not make sense and should be lifted; my trip to Cuba convinced me. Cuban musicians at El Aljibe restaurant in Havana. THE AVERAGE Cuban struggles to make a living but their ingenuity in making a living impressed me. Cubans, in native dress, were willing to pose for tourist taking photographs, they sold paintings depicting old Chevy’s, and peddlers were everywhere selling trinkets, jewelry, cigars and street entertainers. Lifting the boycott would create a lot of jobs for Cubans, and Americans, especially in the tourist industry. Cuba is ten times bigger than Puerto Rico and a beautiful country to visit; I found Cuban’s friendly, courteous and helpful. IF AMERICA TRADES and gives economic support to countries ruled by dictators like China, Vietnam and other foreign countries why do we continue to boycott Cuba? Canada, Japan, Russia, China all trade with Cuba; except America. The Cuban people are the ones who suffer from the boycott. It’s time for America to lift the economic embargo against Cuba and embrace Cuba now! Cuba is a neighbor and only 90 miles from the coastline of Florida. U.S. SENATOR DURBIN responded to my letter regarding America’s 51 years economic embargo against Cuba. He writes in his letter to me dated March 11, 2013: “I have strongly supported efforts to lift current restrictions on the sale of humanitarian goods to Cuba. We should not maintain policies that hurt the most vulnerable people in Cuba. Our disagreement is with Cuba’s dictatorship, not with the Cuban people, and their essential items should not be used as weapons in that struggle. WITH NEW leadership and a series of minor economic and political reforms, the Cuban people have an opportunity to envision a different future. Americans like you can encourage that thinking through our interactions with them. I WILL KEEP your views in mind when the Senate considers legislation about Cuba and continue to support a diplomatic approach to establishing stronger relationships and better understanding between the United States and Cuba. THANK YOU again for taking the time to contact me. Please feel free to stay in touch. Sincerely, Richard J. Durbin/s/ United State Senator.”.... 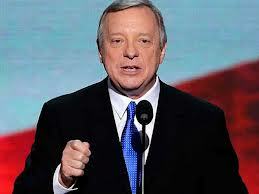 I will write President Obama and Sen. Durbin again. Applications will be available at the event. The child’s digital fingerprint and picture will be taken. Card will be available the same day. ID Card includes emergency contact, medical condition and allergies, doctor’s contact information and any insurance provider details. NO APPOINTMENT NECESSARY. The event is bilingual. Doors will be opened at 9:00 a.m.
A VICTORY: In the Village of Franklin Park Mayor Barrett Pedersen claimed: “It’s a clean sweep!” It was a victory for his re-election and all of his candidates: Tommy Thomson for Clerk, John Johnson, Andy Ybarra and Karen Special for Trustee. Trustee-elect Ybarra is the first Latino to hold public office in Franklin Park. The Village of Franklin Park has a population of 18,415 with a Latino population of 44%. The Election was April 9, 2013. Congrats to all. SATURDAY, April 13: St. Francis Order of Wildcats organization is celebrating their 75th Anniversary with its Annual Dinner Dance Scholarship and Award banquet, at the Lexington House, 7717 W. 95th St., Hickory Hills, IL. Ticket cost: $65.00. For more info call Al Martinez 773/896-7733. SATURDAY, April 20: SENIOR MEETING: 11:30 a.m. to 1:30 p.m. at the Little Village Community Council, 3610 W. 26th St. Teresa Nieto, authorized agent, will host a meeting for seniors with both Medicare card “A” and “B”. Seniors will learn about the advantages of the medical and disabilities benefits. This workshop is for Seniors 65 or under 62 with disabilities, or low income who may qualify for assistance. For more info call Teresa Nieto 847/967-7358. SUNDAY, May 5: AMVETS & MAVA will be celebrating their 21st Annual “Cinco de Mayo”. They will be hosting a fundraising banquet at the Polonia Banquet Hall, 4604 S. Archer Ave., Chicago from 5 .m. to 9:30 p.m. Donation: $30 per ticket. Cash bar. 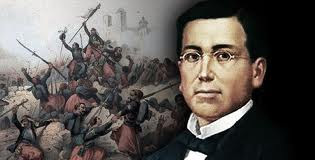 Reception at 5 p.m. – 6 p.m. Dinner 6:30 p.m. Music 7:30 p.m. – 9:30 p.m. For tickets contact Commander Bill Luna 773/551-4750 Dr. Hector P. Garcia AMVETS Post 326 or the Mexican American Veteran Association [MAVA] Abundio Zaragoza 773/354-5275. CRISTO REY STUDENTS: Many students from the Cristo Rey Jesuit High School, 1852 W. 22nd Place, Chicago have been fulfilling their community service hours at the Little Village Community Council, 3610 W. 26th St., Chicago. EACH STUDENT must complete 20 hours of community service hours each year of high school. Over the past four years more than 250 students have been volunteering since their freshmen year at the Little Village Community Council. STUDENTS HELP with the variety of free services LVCC offers: Saturday’s free food pantry, free clothing, free haircut and manicures, and the free health fair. They participate with community events: Voter registration; “Back to School” block party for elementary students by making and giving out free popcorn, soda, and hot dogs; Halloween candy distribution; and decorating the community council for the Christmas holiday season. When special occasions are over the students participate in street clean-up campaigns, computer, office and maintenance work. In the winter months they have shoveled snow for senior residents. ALL CRISTO REY Jesuit students do their service hours enthusiastically. “We like coming to the Little Village to help clean up the neighborhood,” said a student. The boys do the heavy lifting of boxes, tables, chairs, the popcorn machine and food boxes. “They are all good students and we appreciate their service in Little Village,” said August Sallas, President of LV Community Council. ALL THE students are proud to have a Jesuit in Pope Francis. “We are all excited about Pope Francis,” said Arthur Sandoval. CRISTO REY Jesuit High School principal is Patricia Garrity and student body of 550 students. ENDORSED: Raul Aguirre Jr. is an endorsed Democratic candidate for Stickney Township Assessor. Aguirre was formerly an administrative assistant for Commissioner Larry Rogers, Jr. at the Cook County Board of Review. Based on his experience, Aguirre is well qualified to hold office as Stickney Township Assessor. He is a certified Illinois Assessing officer; State licensed Real Estate broker; former State Licensed Real Estate Appraiser. The Stickney Township Regular Democratic Organization’s Committeeman Michael Looney has endorsed Aguirre. AGUIRRE WAS the former Chairman of Burbank Zoning, Planning and Development Commission; graduate of the Realtors’ Institute, former Board of Review Administrative assistant. HE HAS HELPED taxpayers with commercial, industrial, mix use, apartment buildings, vacant land and single family residential homes; and conducted Tax Appeal seminars in Stickney Township. Cities in Stickney Township are 40% Latino. AGUIRRE proudly served in the United States Army with the 101st Airborne Division and awarded the Bronze Star while in Vietnam. Election is April 9, 2013. FUNDRAISER: The Committee to Elect Raul Aguirre, Jr. and Latinos of Berwyn are hosting a fundraiser at Cicero Social Center, 6033 W. Roosevelt Road, Cicero from 6 p.m. to 10 p.m. this Saturday, April 6, 2013. Donation: $25 per person. 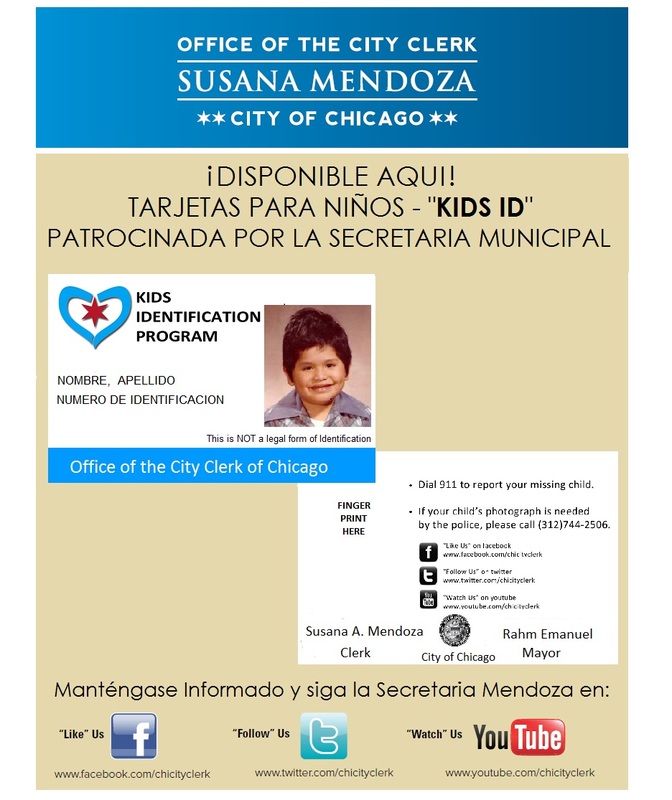 To contact Raul Aguirre, Jr. call 708/846-3300. SENIOR MEETING: Teresa Nieto, authorized agent, will host a meeting for seniors with both Medicare card “A” and “B” on Saturday, April 20, 2013. The meeting will start at 11:30 a.m. to 1:30 p.m. at the Little Village Community Council, 3610 W. 26th St. Seniors will learn about the advantages of the medical and disabilities benefits. This workshop is for Seniors 65 or under 62 with disabilities, or low income who may qualify for assistance. ST. FRANCIS Wildcats organization is celebrating their 75th Anniversary with their Annual Dinner Dance Scholarship and Award banquet, Saturday, April 13, 2013 at the Lexington House, 7717 W. 95th St., Hickory Hills, IL. Ticket cost: $65.00. THE WILDCATS will be honoring their “Person of the Year”, Daniel Gutierrez. Gutierrez is the owner of the Restaurant Nuevo Leon in the Pilsen community for the past 51 years. 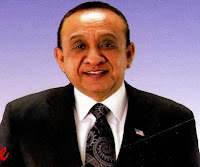 Gutierrez graduated from Notre Dame Grammar School and graduated from Cathedral High School in 1965. 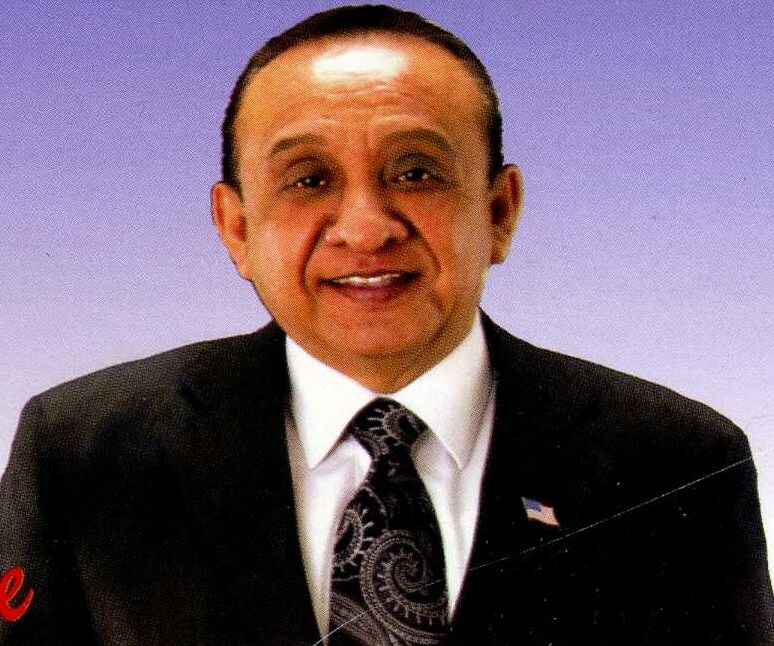 GUTIERREZ was drafted into the U.S. Army during the Vietnam War and stationed in Yuma, Arizona serving as a medic. In 1968, Danny married his high school sweetheart, Maria Aguirre. They are the parents of four children: Lety, Daniel Jr., Marissa and Cynthia. DANIEL GUTIERREZ is being honored by the Wildcats as a family man, businessman and generous humanitarian. 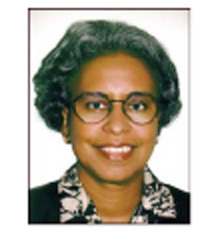 CONDOLENCES: Miriam Cruz, sister of Rev. Ruben Cruz, Becky, Noemi and Dorcas, died Tuesday, April 2, 2013 in Puerto Rico. Miriam was Assistant for Hispanic Affairs to Mayor Richard J. Daley. 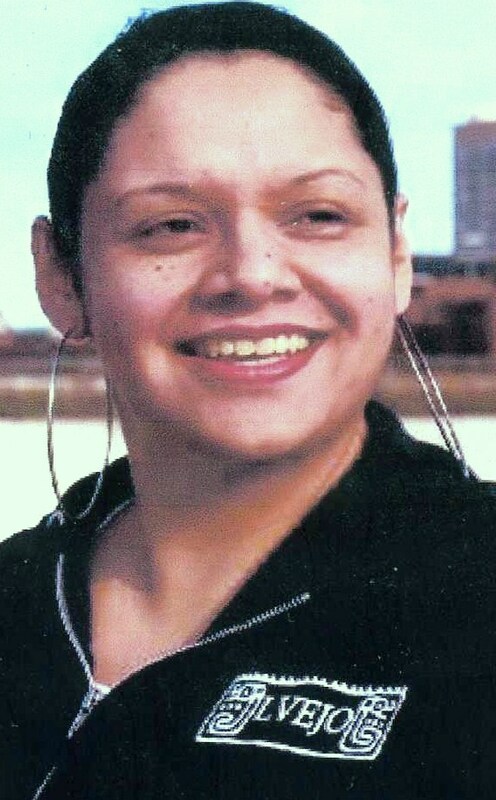 She was highly respected by the Latino community in Chicago.